The elections are over; the winners and losers have been determined (except, perhaps, in Virginia, but that’s another story). It's time to come back together and talk with each other. This is important everywhere after an election (even in Virginia, where it’s probably not going to happen), but it is particularly important in our smaller towns. That means no more politics, at least until the next election. Once winners and losers have been decided, our municipalities really have little use for politics, at least of the ideological variety. They do, however, have a pressing need for cooperation among those who just recently were competing against one another. Our political structure is largely irrelevant to the task of governing at the local municipal level. Within polities of a few thousand people, how does party politics apply at all? Elections at the local level are fundamentally about personality; those who actually vote do so for the individual, not out of party loyalty. We are periodically required to contest each other within a political structure, but outside those periods it should be ignored to the maximum extent possible. Do your visions for your community differ so much that cooperation is impossible during those long periods between election campaigns? They better hadn’t, because in the face of widespread apathy, those who do care need to come together between those required periods of conflict and talk about the shared future. I’m honored by the feature billing. I will be there, to initiate this much-needed conversation. In truth, however, I am only there to get things underway, then hand off the conversation to the people who count, the residents of Norristown. This will not be some open-ended gripe session. Good people have given much thought to Norristown’s situation, and have structured this conversation. We will have well-known community contributors to lead the discussions, and I am proud that they have joined in this effort. It all leads to the fundamental question: What do the residents of Norristown want their town to look like in 2020? I am trying to spread the word throughout the Norristown community, using its many clubs and organizations. After this formal conversation has ended, I hope to keep the conversation going about how to make Norristown a better place to live. Norristown’s history is replete with bi-partisan civic groups that came together to tackle community problems, only to fade into the mist, with nothing accomplished. That mustn’t happen; it’s these between-election times that community work is most needed. Getting together and talking is the easy part; actually getting things done is rather more difficult. I will be physically leaving shortly after the Conversation, but I plan to stick around (metaphorically), using this blog. I want to make a contribution to these kind of efforts. My goal is to help people understand why our urban areas are the way they are, because there is so much misunderstanding floating around. You cannot attack problems if you don’t understand what really caused them. That’s why I frequently refer to my efforts to “puncture myths.” Besides, people are more likely to avoid errors if they learn from those committed by their predecessors. History offers countless examples of people doing the wrong thing, even when they had the opportunity to know better. Let’s try to avoid that, by getting a better handle on why. such post-election conversations are needed everywhere. Norristown should only be one of many. These will be different conversations, because each community is in a different situation. 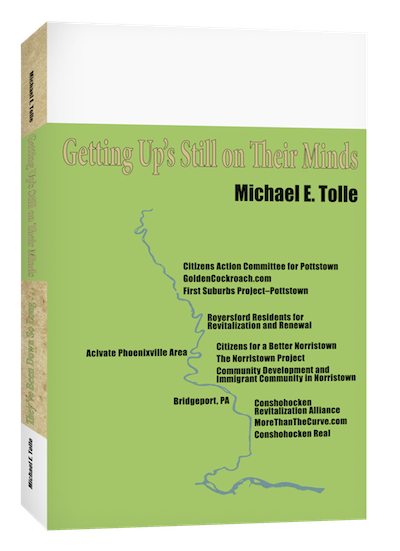 Some are similar: upriver from Norristown is Pottstown, fighting crime and neighborhood deterioration. The two towns are similar, but they are not identical, so again the impetus must come from within the community itself. That impetus is building, and I hope to aid in the effort. And what about Bridgeport, so long in the shadow of Norristown, and now…? This past election brought out citizen awareness and comments, which are continuing, discussing long-standing issues. 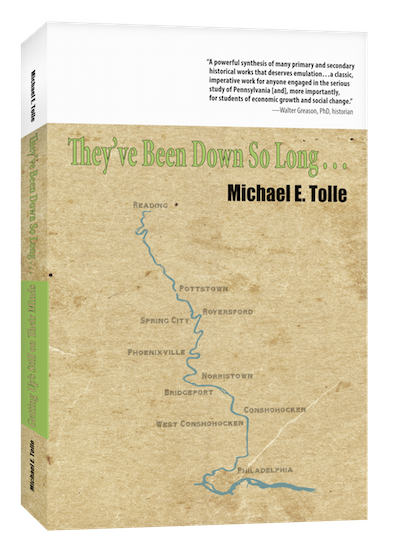 Downriver, both the Conshohockens need such a conversation, but one of a very different nature. Much is happening in their communities, but whether it constitutes "revival" is an open question. Whatever it is, it's well underway, and if the residents of both Conshohockens want to have a say in what is taking place around them, time is not on their side. Then there is Phoenixville. Phoenixville suffered from the same post-World War II economic and social decline as the other towns along the Schuylkill, but recent decades have seen it take a remarkable upward path. Why is Phoenixville the only river community seeing self-generated local revival? Do the residents of Phoenixville know, and if so, will they share? No one should be too proud to ask; Phoenixville has a track record worth not just envy, but emulation. Conversations about the future are needed, amongst those who can actually make things happen. That includes your municipal government, by the way (that's also part of my mantra). In each case, the impetus has to come from you, within your local communities. But you are not alone! How can I help? Let me know. News broke this past May that a mortgage foreclosure will probably send Logan Square up for Sheriff’s sale. For most of you, even in the Delaware Valley, the name Logan Square probably means nothing. Those who are aware of it—mostly in the Norristown area—probably associate Logan Square with a recent financial debacle involving a proposed hotel and movie studio that will end up costing the county taxpayers a bundle. A few, however, particularly the Norristown area’s older residents (and some farther afield who also heard the news), remember Logan Square as a shopping center, what it was designed and built to be. The key here is “designed,” and that’s what makes the history of Logan Square relevant. I would, in fact, make the following argument: the creation of Logan Square was a seminal event in the commercial history of Southeastern Pennsylvania, a piece of local history that deserves to be better understood, and more widely appreciated. Today, shopping centers proliferate in Southeastern Pennsylvania (and elsewhere, I am told). They range in size from strip malls and local road intersection centers to the King of Prussia Mall, shortly to be the biggest of them all. Yet it wasn’t too long ago that the first one appeared somewhere other than the Main Line, and that somewhere was the north end of Norristown. It was called Logan Square. What makes Logan Square’s history significant is that it was the first local shopping center planned solely for the automobile. There is some dispute over where and when the actual “first shopping center” appeared in the U.S., but Suburban Square in Ardmore has the honor of being the first planned shopping center in the Philadelphia area. Its design inspired the design of Logan Square. But while Suburban Square, which appeared before the war, was designed to accommodate the automobile, it was deliberately built adjacent to the heavily used Main Line rail tracks. Logan Square, by contrast, was a very early example of what would soon become common, a shopping center accessed solely by automobile. A trolley line ran nearby, but it was clearly on its last legs by the end of the war, and was not counted on to deliver customers. Well into the 20th century, shopping centers outside Philadelphia were located where they always had been, in the towns and boroughs, usually along a Main Street. We called them “downtowns.” They had not been planned, they had evolved, and in the process grew rather like Topsy (it’s a generational reference; ask someone older than you). Unfortunately, they grew in the horse-and-buggy days, when no one had yet heard of the automobile, let alone the concept of parking. The automobile began to proliferate after the First World War, and by the eve of the Second the downtowns of Southeastern Pennsylvania were already feeling the resulting crunch. Afterward, things got worse, much worse. In the late 1940s, a few forward-thinking entrepreneurs, recognizing early how the automobile would render virtually every urban downtown unsuitable for future shopping, thought of designing a new kind of shopping center, one built around the automobile. In other words, one with ample, free parking. Our downtowns could not be adapted; they had to be replaced. One such entrepreneur was Joseph Butera, who, advised by his uncle Harry, then the dean of local real estate agents, decided to locate his new idea at the very north end of Norristown, at the intersection of Swede Street and Johnson Highway. Logan Square opened in 1954, after a construction phase that lasted only a little longer than the struggle to get the project approved in the first place. Norristown’s downtown merchants fought it bitterly. History has demonstrated that their fears were justified. Logan Square was a full frontal challenge to the shopping tradition that downtown Norristown represented. It quickly stole Sears from Main Street, where it had been since 1934, and continued to accommodate other stores that left downtown. Logan Square prospered, for a brief period of time. Then the other neighborhood malls began to appear. They tended to be smaller than Logan Square, but they were more convenient to the residents in the new developments around Norristown. The King of Prussia and Plymouth Meeting Malls did not exactly help, either. The story of Logan Square’s decline is a complex one, and such things as the local economy and management decisions certainly played their part. Nothing is inevitable, but hindsight allows us to see clearly both what Logan Square was, and was it wasn’t quite. As a historian, and leaving aside the complex local specifics, I see the story of Logan Square as something close to a tragedy, a pioneering idea that began a movement, and then fell victim to the movement it heralded. That movement was to the periphery, away from downtown. That movement has taken place, leaving our traditional downtowns barren and crumbling. Logan Square began the movement, it just didn’t move far enough. It was doomed at birth by a decision that seemed bold and progressive at the time: to locate an entirely new shopping center where it did. The actual municipality is not the point; had Logan Square been located just across the street (Johnson Highway) in East Norriton Township, it would probably have suffered the same fate. The fatal flaw was in the center’s access roads. Don’t let the term “Johnson Highway” fool you. It was a two-lane asphalt street when Logan Square opened, it lacked traffic lights, and it did not connect to any major local highway. It also came to a dead end one block east of the center. Swede Street south led down through Norristown, and thus to a desired market. Unfortunately, it also led out of town, where it intersected with the much larger and much more heavily trafficked Germantown Pike. Outside of town was where the new residents were appearing, and in short order a whole array of mini shopping malls sprang up at the intersections of not only Germantown Pike and Swede Street, but also at the intersections of Ridge Pike, Butler Pike, and the list goes on. These new residents needed many things to make their new houses into homes, and it was just too difficult to get to Logan Square, given the other alternatives. As long as Sears remained, hope remained, but Sears finally left, long after it should have, and joined the crowd at King of Prussia Mall. Had Logan Square been located out in a surrounding township (other than Upper Merion, of course), it might have survived. If the center itself did not survive, its buildings would most likely still be in use, however modified. The shopping centers of comparable size, or even smaller, located at the intersections of major local roads, have had a checkered history, but are still sites of commerce, and some are still shopping centers. Ground at the intersection of the local highways around Norristown still has commercial value; whether Logan Square’s site within Norristown still does will be decided at auction. The urge to see the contrasting fates of Logan Square and its surrounding malls as a metaphor for post-World War II urban history is irresistible. How many of you were part of it? This post is aimed at my readers in Montgomery County. The County Planning Commission is now gathering information for their next comprehensive plan, entitled “Montco 2040: A Shared Vision,” and is seeking citizen input. I’m here to support that request. It should come as no surprise to readers of this blog that I support not just cooperative planning among local municipalities, but citizen input to the planning process. A major theme of my work is that the problems confronting our municipalities are much broader than the borders of any one of them. I encourage local citizen activist groups to communicate and plan together; I can hardly do otherwise for their municipalities. Yet my true interest here is supporting any opportunity for individuals to speak directly to those who will have so much influence over our future, but who are not subject to voter recall. Local municipalities are all going to participate; you should too. Think of it this way: in my previous post, I argued strongly that you should vote in local elections. In an election, you only get to choose between people already selected for you. Contributing to the Comprehensive Plan allows you to say exactly what you wish, about the local issues that are important to you. Shouldn’t you speak up, and if not, why not? Let me anticipate one comment about all this: How much will your voice count? Just like in an election, that depends on how many voices speak up; if many speak, and many of them express the same thought, it will be noticed. Rather like voting, your voice is individually anonymous, but potentially important. As a historian, I cannot resist commenting about how much of a sea change has taken place in the Philadelphia suburbs in its feelings about planning. The Commonwealth of Pennsylvania first established a planning commission in 1934, at the urging of the Federal Government. Acceptance of the concept in Republican-dominated Pennsylvania was not helped by the fact that its originator was the hated Franklin Roosevelt. Montgomery County did not establish a planning commission until 1950. Even then, as the county began to promote the concept of regional cooperation, it found itself surrounded by a center of opposition to the very idea of planning. Norristown Borough Council staunchly declined to establish a Borough Planning Commission until late 1961, and then did so only over vociferous opposition and a mayoral veto of the original ordinance. Council also abolished it in 1972, by the way. Opposition was trumpeted in ideological terms about local freedom; the issue was actually local control. Norristown Borough Council virtually worshipped the concept, and applied it down to the ward level. The delay in establishing a planning commission was but one unfortunate result of this approach for Norristown as a whole. There were many others. Maybe such a delay affected your community. But that was then. This is now, and things have changed. Municipal resistance to planning has disappeared. The reason was…wait for it…money. The 1960s saw lots of it become available to municipalities, and the gravy train still continues its run. From the beginning, however, its government conductors made it clear that the gravy train only stopped where planners had been appointed and had produced a plan. Eventually even the recalcitrant fell in line. The first County Comprehensive Plan was adopted in 1979. Successive plans followed, at irregular intervals. The most recent comprehensive plan was completed in 2005, and it’s time for the next one. --Apathy and indifference to the planning process in the Borough. --Suspicion as to how the data would be used. 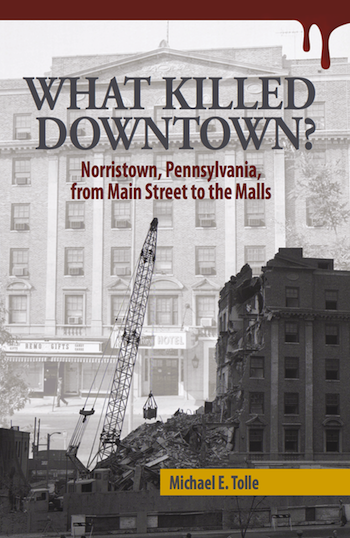 This was a judgment about just the (then) Borough of Norristown, almost fifty years ago. Now flash forward to today, and to your municipality. Are things any different? Well, they should be. You can do your part to make it so, and you don’t even have to leave your home computer, let alone your home. Still, I would submit to you that even in this digital age, nothing beats real people saying real things directly to the faces of those who have some say over their lives. Try it. It’s Municipal Election Time: Get Out and Vote!